so here we are in Delhi.. How beautiful is the sun rising.. Sure the honking and traffic has already started up .. Yet it feels good..
Now I hate writing things like the following.. I hope it comes across as honest.. That’s because it really is! Unfortunately the breakfast was not good at all!! First having to hand over your suite number three times to three different people.. Including once sat down ( twice!).. Whilst they have a mistrusting look at you , ( this place is frequented by the so called Delhi ‘posh’ folk, who must have left a sour taste in the mouths of the staff.) .. It’s too higgle-dee-piggledee.. you order in a not that busy restaurant ( like 9 people!).. And nothing comes.. Not even tea..
For about twenty minutes.. Then it arrives swiftly followed by the meanest bakers basket ever! And just when you start to drink tea and start on the bakers selection your mains arrives! This creates a not very nice experience at all! And something must have happened to their tastebuds..( perhaps all that sourness!).. This is the plainest food we have had.. For ages! Are they making it to a ‘taste’ they have decided suits? As this hotel doesn’t seem touristic as the other breakfast diners all seem to be locals? And the staff uniforms are dirty with food.. Old food.. Were they that busy before we got there at 08:30-ish? The dosa Mrs Fitz had was lacking in all depts.. Big shame .. Big shame..after all the delights we have had! 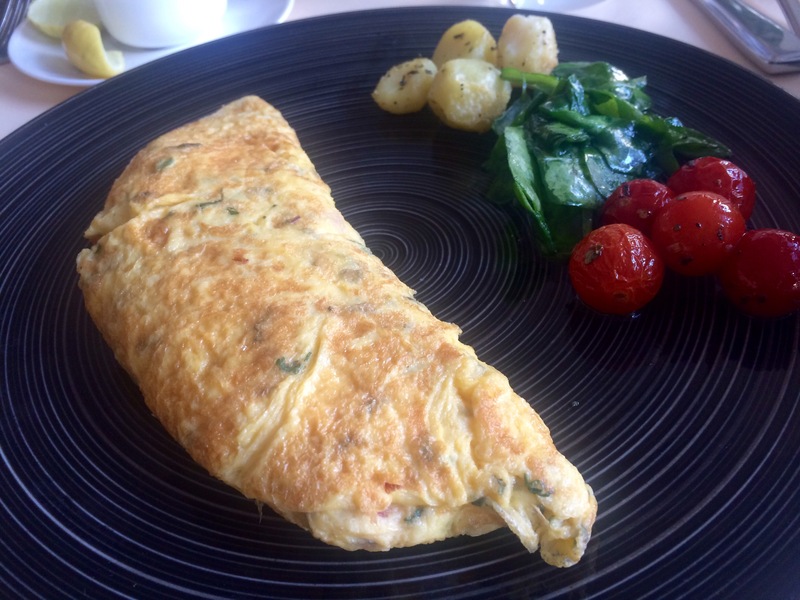 And this masala omelette ? Ummm ( man I hate writing things like this!).. It was beyond bland.. Not seasoned .. Not nice.. This hotel only has 40 rooms and suites total.. How can it be so wrong? It really has put us off trying anything out of their kitchens again.. Least our pool is still cool.. Seriously this is not good food.. Apologies again.. Yet I have to say it.. Not good.. 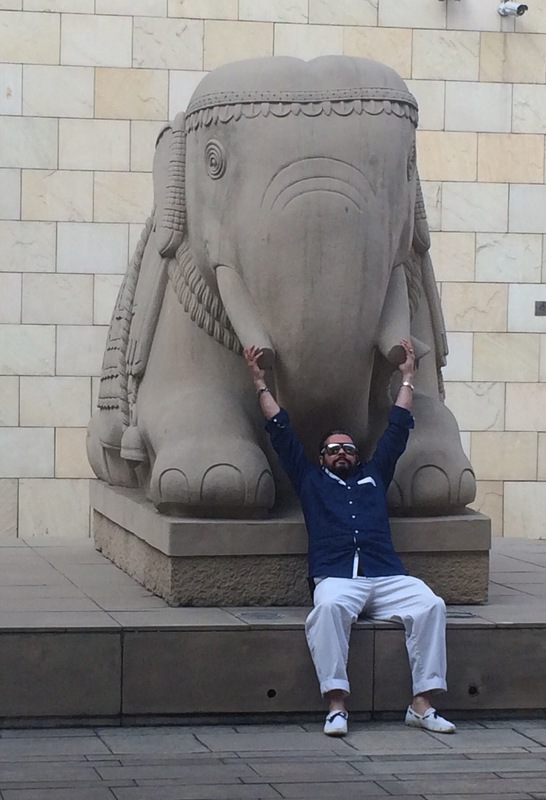 The elephant statue outside is good though! We are off mooching about in Delhi for the morning.. Last day here you see! 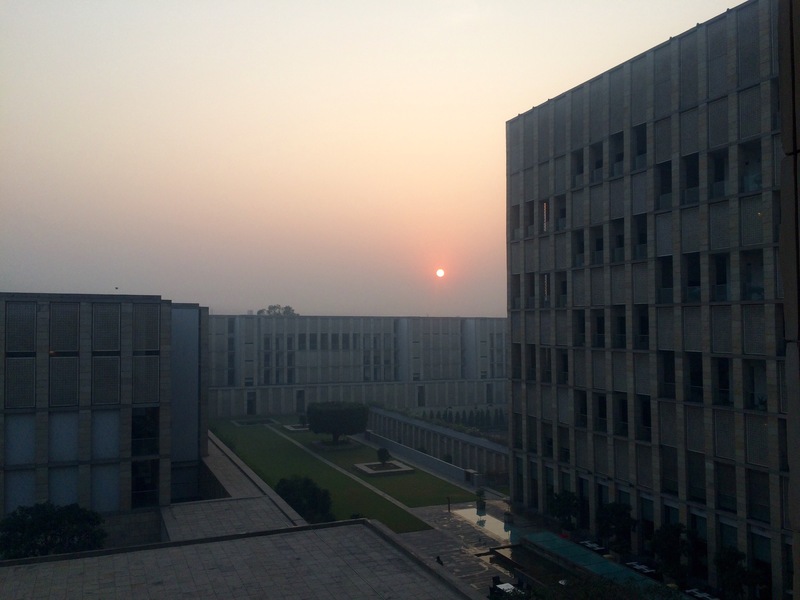 ‹ Back in Delhi -Indian adventures part three! 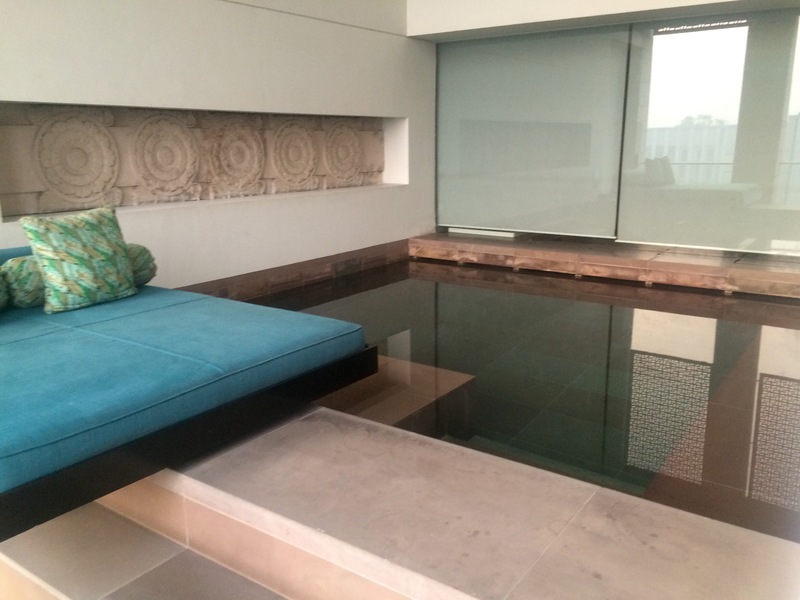 Swimming pools in bedrooms and the only hardtop auto rickshaw in Delhi! 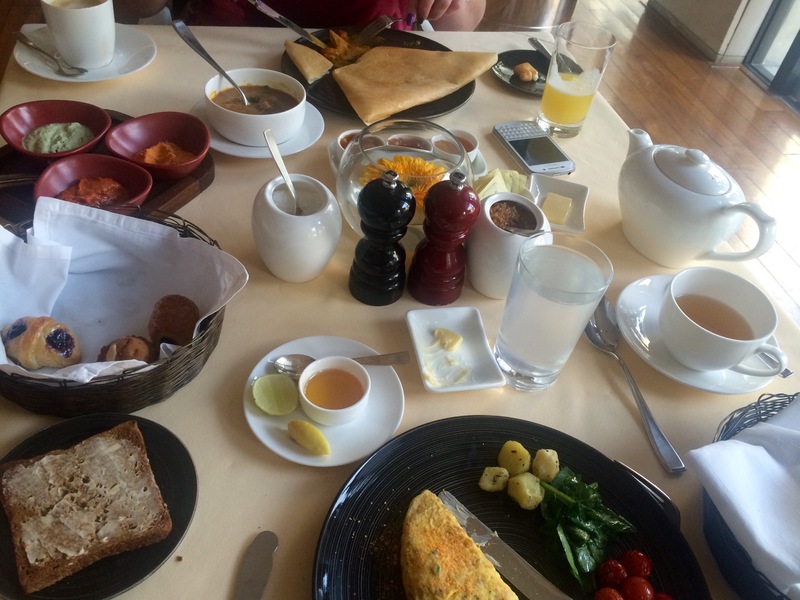 Tags: @LBBDelhi, @lodhidelhi, @mrandmrssmith, delhi breakfasts, what is the breakfast at the lodhi? almost last breakfast in aravalli hills and heffalumps (elephants!).. I would have taken you guys around had I been in Delhi!